Our planet's recent close call with one asteroid, and direct visit from another has definitely made it seem important to consider how to avoid the pesky things in the future. One solution is to direct the Sun's power into pulverizing lasers, but another option just involves covering incoming rocks with spray paint. Simple as that. The plan, as described by Dave Hyland, professor of physics and astronomy and faculty member in the aerospace engineering department at Texas A&M goes a little something like this: When you see a dangerous space-rock headed this way, you send a special space ship out to meet it and blast it with a coating of space-spray paint. 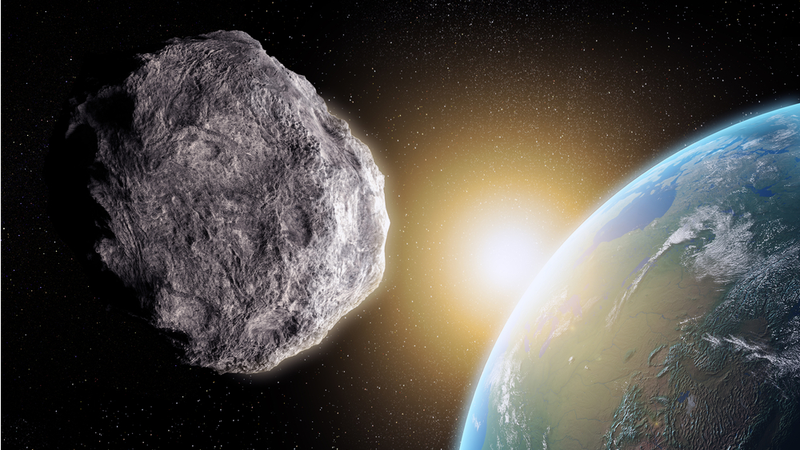 The new coat of paint would then affect the asteroid's reflectiveness, allowing the Sun's energy to catch it just right and send it off a collision course.